the Gift – now available for pre-order! Doren was born with a powerful gift—a gift he’s managed to use to put him well on his way to becoming a star. But there is more to that gift than just musical talent, and as careful as Doren is to hide that fact, there are some who know of the power behind the sound, and all the ways they could abuse it. August’s goal in life is simple: make an impact in the music industry. An opportunity to work as the personal assistant to Doren seems to be exactly the kind of break he needs to accomplish that goal. But all too often in life, simple becomes just another complication, especially when there are people whose goal is even simpler: destroy and dominate. Content: Contains some explicit content. Thicker Than Water, a novella for the Less Than Three Press series “Proud to be a Vampire” was released today. You might ask … What is the “Proud to be a Vampire” series? “Proud to be a Vampire” is a series that celebrates the vampires that make vamps great. Fierce, blood-loving, they’re proud of what they’ve become and rule their dominions sparkle and angst free. In other words, it’s keeping with some damn fine company, indeed. Ladomer’s first experience with vampires instilled a deep hatred—an emotion he gladly uses to bring destruction to the beasts that can’t be purged from his memory. Hunting alongside the compelling man who saved his village, Ladomer and Zor are ruthless in their quest to stop the growing threat. When a new call pulls them deep into Eastern Europe, Ladomer learns anew just how cruel vampires can be—and how much deeper love can go. And how much deeper love can go. 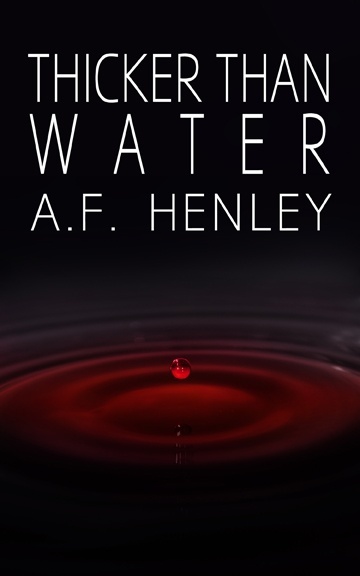 Thicker Than Water is one of several novellas offered by Less Than Three Press in their Proud to be a Vampire series.